Takeaway: Google is continuing to develop Glass. One new patent application has become public and reveals some minor changes, such as the option of having replacement batteries. 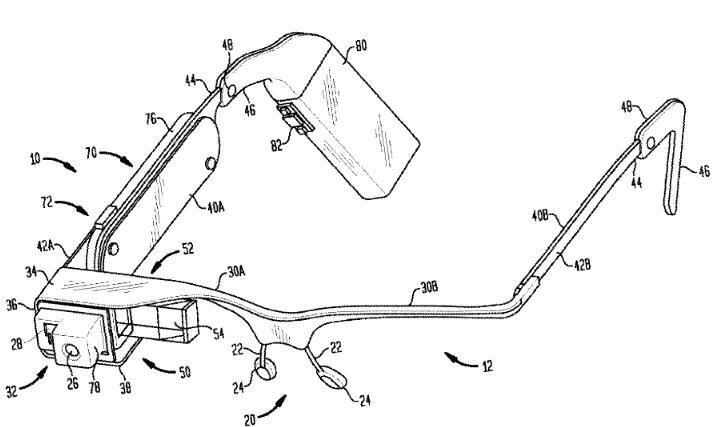 One of Google’s recent patent filings indicates that they may be coming out with a Google Glass Version 2, featuring the option of using batteries, such as AAA, AA, or even 9-volt. Furthermore the control panel will be mounted on one of the arms, which will function as a touchpad. Much of the weight will be shifted to the ends of the arms, which may house components such as the processor, Bluetooth chip, and other communication devices. This change will take some weight off of the nose and ears as compared to the previous model. However, experts are predicting that this version, especially because of the replacement batteries, will not hit the market but that Google will instead focus on further developing battery technology. 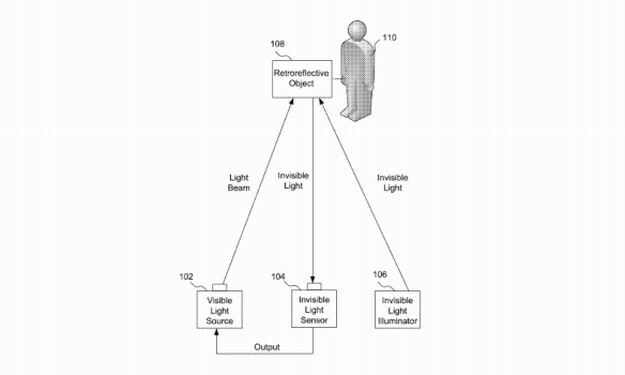 As described in patent application “Audience Interaction Projection System,” Disney intends to create a live audience experience at its Star Wars Land, wherein audience members can participate in a fight using realistic Lightsabers. Takeaway: Internet providers may start to crack down on their own customers who are suspected for copyright infringement because the internet providers may be liable for their customers’ infringing actions. Earlier this month, a federal judge held that Cox Communications liable to BMG, the music group, for $25 million. BMG has been using a third-party company called Rightscorp to monitor for file-sharing and then notify the respective internet providers with the expectation that Cox would then notify the customers. Instead, BMG was able to show that Cox used various technical means to avoid notifying its customers and therefore was held liable. The court ruled that Cox not only knew that its users were illegally downloading copyrighted content, but also took proactive actions that contributed to ongoing illegal downloads. Currently, many Internet providers have established policies that give users a number of strikes before cutting off their access, allowing a level of insulation from direct court action because they were eligible for the legal “safe harbor.” However, because Cox didn’t act aggressively enough based on the circumstances, it was not eligible to qualify for safe harbor protection. Other Internet providers should be wary of their procedural notification process relating to contacting users that may be involved in copyright infringement. Furthermore, this holding raises questions as to what else Internet providers should be liable for beyond copyright and may lead to a larger shift of burden onto the Internet providers as they monitor and control customer actions. In a recent case, In re Bay State Brewing Company, Inc., the United States Patent and Trademark Office’s (“USPTO”) Trademark Trial and Appeal Board (“TTAB”) issued a precedential decision that affirmed that there was a likelihood of confusion, even though the parties at issue had entered into a consent agreement. The applicant, Bay State Brewing Company, had led an intent-to-use-based trademark application for the mark Time Traveler Blonde in standard characters with “blonde” disclaimed and covering beer. The USPTO had refused registration, claiming a likelihood of confusion with a registration for the mark Time Traveler, also in standard characters and covering beer, ale and lager. The applicant appealed the refusal, conceding that there is a likelihood of confusion between the marks but asserting that its mark should be registered because it had entered into a consent agreement with the owner of the cited Time Traveler registration. Looking at the consent agreement submitted by the applicant with an express acknowledgement of the great weight that such agreements are entitled, the TTAB found that the consent agreement was outweighed by the other relevant likelihood of confusion factors, namely, that the marks are virtually identical, as are the goods, purchasers and channels of trade, and that the products are typically subject to impulse purchases. The TTAB’s decision appears to have been influenced by the fact that certain of the agreed upon limitations in the consent agreement, namely, with respect to geographic restrictions and labeling requirements, were not reflected in the trademark filings and, therefore, would not be reflected in any subsequently issued certificate of registration. For example, although the consent agreement contained geographical limitations on the applicant, the registrant was not similarly confined, the result being that there would still be overlapping geographical areas in which the parties sold their respective products. Similarly, the undertaking with respect to the appearance of the mark on the bottle label was not consistent with the broad protection afforded a registration for a mark in standard characters. Therefore, the TTAB ruled that the consent agreement submitted “does not comprise the type of agreement that is properly designed to avoid confusion and does not fully contemplate all reasonable circumstances in which the marks may be used by consumers calling for the goods.” This decision is instructional because it reminds applicants that they may not be able to overcome a likelihood of confusion refusal even if they have secured a consent to register from the owner of the cited mark, as the TTAB is not obligated to accept a consent agreement in all situations. The decision also suggests that it may be appropriate or advisable to add express limitations to an application if that is the basis upon which the consent is provided by another party.